Vanessa Lamers is a Joint MESc/MPH Candidate at the Yale School of Forestry and Environmental Studies and the Yale School of Public Health. She spent the summer researching the impacts of shale gas development on water quality in rural southwestern Pennsylvania. Vanessa is the recipient of the 2012 Yale Center for Environmental Law and Policy Research Prize Fellowship for her proposal on hydraulic fracturing. In Texas in 1999, as the story goes, an inattentive, possibly bored researcher flipped a switch that would change US energy for decades to come. Instead of pumping a specially prepared gel into his test gas well, the researcher accidentally sent down millions of gallons of water. The result of this experiment was the controversial process now discussed daily in newspapers across the country: hydraulic fracturing. Hydraulic fracturing, commonly known as fracking, is merely one of the many steps involved in extracting natural gas from shale rock deep underground. Fracking uses highly pressurized water, mixed with sand and chemical compounds such as biocides, to break the rock and pipe up the gas. This new technology allows drillers to access unconventional natural gas deposits, like those trapped in shale, driving down energy costs and helping the nation wean itself off coal. Fracking’s detractors are numerous and vehement. Yet despite numerous reports and lawsuits alleging water, land, and air contamination, as well as animal and human health impacts, shale gas development is growing both domestically and internationally. Despite being banned in places as diverse as France and Vermont, and delayed beneath moratoriums in New York and Maryland, fracking is nonetheless spreading, from Ohio to South Africa. 1) Use alternatives to frac ponds. Impoundment ponds, or “frac” ponds, are essentially open pits that collect the chemical and liquid waste flowing back out of gas wells. Regulations vary widely from state to state about what type of liner, if any, must be laid down to prevent the waste from leaching into the ground. States also disagree about how to eventually dispose of the waste. Frac ponds are one of the riskiest, least certain aspects of shale drilling: plastic liners leak, rains overflow the ponds’ rims, pets and wild animals fall into ponds, and hazardous chemicals are left to aerate or leach. Impoundment ponds are no longer best practice –– which is why, if fracking commences in New York, the state will require a closed-loop system of tanks, now used by some companies, to deal with the waste. 2) Employ tracing fluids. Currently, there is little courts can do to determine the truth of claims that fracking contaminates waterways. One popular suggestion, proposed by many stakeholders and creative scientists, is to include some type of tracer device, such as a color or a chemical, to follow fracking fluids through the environment. This solution wouldn’t track the leaching of natural gas through old mines or fissures, but it would help companies, overseers, and policy-makers understand how chemicals flow deep underground, especially when multiple companies are drilling in one area. Such tracers would hold companies accountable to the environment, to landowners, and to stakeholders. 3) Ensure community buy-in. As a Pennsylvanian judge once ruled, municipalities should be able to determine their own character. Cities and regions accomplish this self-determination through zoning laws, giving citizens the power to make informed decisions about the risks and benefits that energy projects bring to their communities. Towns then independently allow or disallow industrial, business or residential zoning in particular areas. However, new laws such as ACT 13 in Pennsylvania and Senate Bill 315 in Ohio strip municipalities of their right to define their own character, and thus prevent them from having a say in the welfare of their own communities. Forcing industrial processes such as oil and gas drilling onto a community is a lose-lose situation. Residents are disenfranchised and disempowered, and the companies find themselves unwelcome. Complete participation and transparency should be the gold standard, with community members involved in the entire process. 4) Create third-party oversight. Microbac Laboratories, Inc. and Test America, Inc are currently being sued by people who claim their water tests were tampered with — or not released at all — to hide environmental contamination. Whether these claims are true or not, they shine a light on a possible failure in the system: environmental testing is not being conducted by independent third parties. As a way to protect their residents, some counties require companies to perform pre- and post-tests on well and spring water certain distances from drilling sites. In response, some companies created their own water testing departments or subsidiaries to perform water tests –– a definite conflict of interest. Somebody besides the gas companies themselves should be testing the water. The obvious choice would be the Department of Environmental Protection. However, some DEP personnel have gone to work for gas companies, and many communities no longer consider them an independent third party. 5) Set strict distances from water sources. In some cases, less than 500 feet separates fracking operations from homes. This is because current zoning laws allow industrial activities to occur in residential areas, permitting companies to prioritize geological estimates and yield over the well-being of households, streams, and wildlife. Policies and recommendations vary widely about how close shale gas sites should be to lakes, rivers, ponds, houses, wetlands and protected areas. As many counties and states begin to lease or sell land, drill sites are beginning to cross into state or county parks and pass into or through rivers and streams. Numerous newspaper articles and DEP databases document spills and blowouts near water sources, accidents that affect environmental health downstream and in the immediate vicinity. Forcing drilling operations to keep their distance from water sources will help reduce the risk of environmental contamination. The technological advances of well drilling into unconventional sources certainly presents economic opportunities. But its consequences are multiple and only now coming into focus. Following the above recommendations, as well as adopting others — like charging companies with capturing methane that leaks from their wells — will help reduce the risks of fracking, even as gas wells spread across the US and the world. Vanessa Lamers is a Joint Degree student, working towards a Master of Public Health and Master of Environmental Science at Yale. A well-written, succinct article. Many of the impacts associated with hydraulic fracturing involve what happens to the large amounts of wastewater following the fracturing process. Water is not only stored in pits, but it is sometimes discharged into waterways, following variable and inconsistent levels of treatment, depending on the state. Additionally, there are numerous potential air impacts both with respect to human health and climate change. A recent NOAA study determined that the amount of methane gas escaping from drilling operations may be much higher (as much as 5% total of all methane extracted) than industry has estimated. If this is true, the contribution to climatic warming may be more than offsetting any savings in CO2 emissions. There have been numerous complaints of human health and livestock harm as the result of toxic air emissions near drilling rigs, particularly in Louisiana, Arkansas, and especially in Fort Worth County, Texas, where drilling operations take place adjacent to suburbs and in some cases, even in downtown Forth Worth. 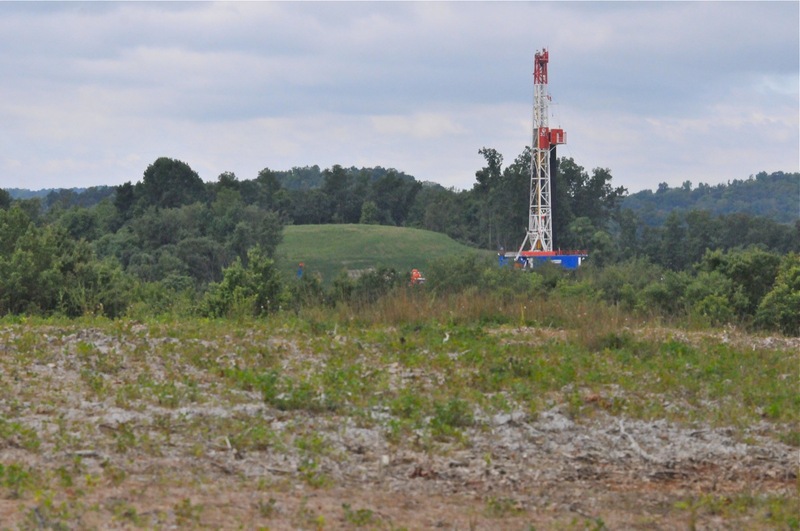 In the Marcellus Shale, where human settlement is denser, it may not be possible to setback drilling rigs the required distance that would fully mitigate risk to drinking water supplies. Additionally, hydro-geology is very complex, and scientists are still in the process of discovering the hydrologic connections that exist deep underground in a given location. Hydraulic fracturing is one of the best examples of how “context matters”, as each situation is unique, and it is very difficult to predict all of the risk factors that may contribute to a well failure underground. ^ What s/he said. Great article, in the vein of practical intellectualism. Very well-written. Highly climate-forcing methane has been shown to leak from the “well to the wheels,” as they say. Not yet a super-solid solution to climate matters. The European Union, just this month, released a 300 page study on fracking and has deemed it too risky. http://ec.europa.eu/environment/integration/energy/pdf/fracking%20study.pdf Scientists concur about climate change and the root cause- the use of fossil fuels. Radon is bound with Marcellus shale gas, the waste water is radioactive, cement deteriorates and steel corrodes. Here is just a partial list of the people that have been harmed..
Tracers might prove who is at fault, but what is the solution for a contaminated aquifer? Well written. Have you sent this along to every Senator and Representative in Congress so as to try to educate them about these relevant, and relatively straight forward, ways to make fracking safer? I have made similar points in emails I have sent to my reps in Congress. I will include these points in future emails I send. I hope your readers do likewise. While this article makes some good points, one detail that is not covered is that fracking effectively ‘destroys’ water. Besides being contaminated, the water is injected so deep that any water that is not retrieved (typically over half the volume) is lost to the hydrological cycle – it does not evaporate into the atmosphere nor does it flow back to rivers or subsequently to oceans. In a world where fresh water is becoming scarcer and it is often postulated that future wars will be fought over water, not to mention all the other problems mentioned in the article, is this wise? That’s right. Whenever you burn methane, you are creating one molecule of Carbon Dioxide (CO2) and two atoms of water (H2O). In fact, for every ONE pound of methane that is burned, 2.25 pounds of water is created. Thanks for the story. Here in Pennsylvania the gas industry has long since incorporated several of your suggestions. I disagree vehemently about the use of local zoning ordinances to control drilling, but that’s a whole other conversation. From my reading, Vanessa does not recommend using local zoning ordinances as an alternative to comprehensive state/federal regulatory standards (or as you say, “to control drilling”). She simply advocates the revision of zoning codes to account for what is an entirely novel use of land in many areas. Communities have every right to shape their unique characteristics and to protect land values and the health of their citizens. 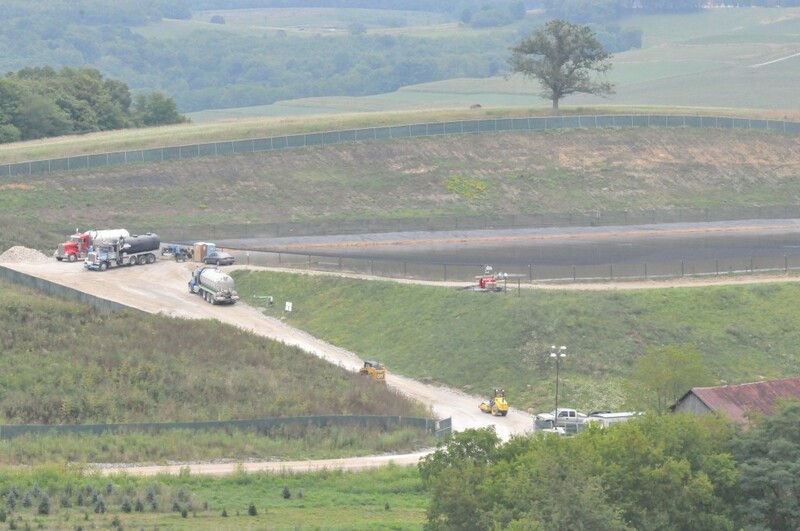 This is becoming especially important as frack sites inch ever closer to population centers. Surely you aren’t suggesting that longstanding local zoning authority be overridden by the energy security/economic policy concerns of centralized state and federal entities? Good article and why you can’t recycle the water (with processing) is a very good question. She writes like a gas/oil company employee. Any student of EnviroSci should understand that natural gas is not “energy” and that gas/oil companies are in the fuel business, not the “energy” business, and that the fuel business is a dirty business. Vanessa, In the furore about possible contamination of drinking water, what seems to be missed is that often two wells are involved – the hydrocarbon well & the farmer’s drinking water well. With 40 years of experience of wells, I believe that the farm water wells are often sub-standard, certainly by oil & gas industry standards. There is a simple cure available, in addition to your 5 good suggestions above. The O&G company drilling the hydrocarbon well has at its disposal on site a supposedly skilled & competent well drilling/ constructing contractor. If, as a condition of allowing the drilling/ construction of the hydrocarbon well, the O&G company/ drilling contractor were also required to upgrade/ make competent adjacent farm water wells, there would be created a double check on any possible cross-contamination. The NY Times had a recent article about the use of gaur gum for fracking. Is one solution to require that anything injected into a fracking well must be biodegradable or otherwise not harmful to the environment. There may be solutions other than growing more guar beans (they grow in dry, poor soil conditions), but neither side seems to be making this alternative argument.